First down for breakfast at 8:00AM, the appointed time, I turned my attention to the TV. It had the good sense to be showing a documentary on the history of Ural motorcycles. And there they were! Our guide at last week’s museum visit in Irbit, Sergey-the-boss of the factory, and a whole raft of wonderful Ural film clips dating back to the second world war. Note to The Adventurists: you should track down this 60 minute film for Ice Runner's movie night. Sadly it was over by the time the rest of the team turned up. 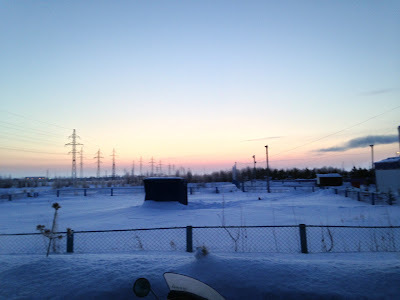 Eggs, toast, packing and, what’s this?, the local chief of police to show us the way out of Priobe and onto the zimniks. 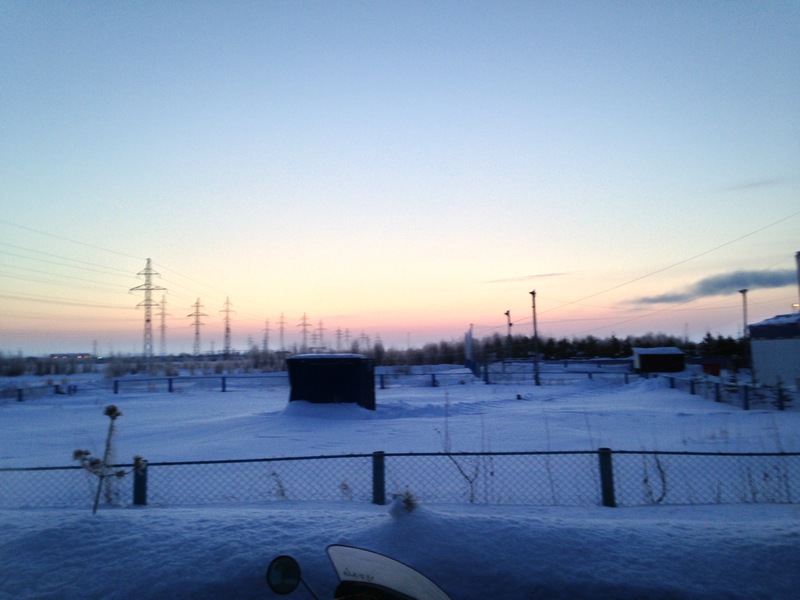 The sun inched towards what was sure to become a beautifully clear day. All engines throbbing we were ready to leave. Like Nick and Paddy, Rico and Björn had to keep their bike moving or the spark plugs would foul and the engine would stall. So around the corner they went as we all followed the policeman. Or so we thought. 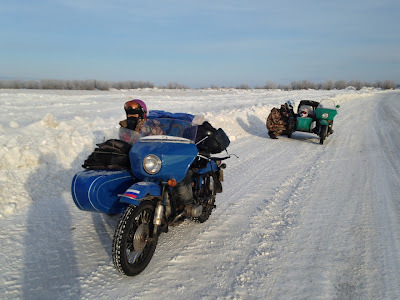 The four of us, Nick, Paddy, Zaya and I arrived at the last petrol station in northern Russia, filled our bikes and waited for Björn and Rico who should have been just behind us. We asked the chief if he’d seen them. He had no idea where they were. I called Rico, no answer. Hmmm… Now what? This didn’t make any sense. They couldn’t have simply vanished. After 10 more minutes we figured that either they had lost patience and gone ahead like the night before, or they went to Plan B, whatever that was. We were all baffled. Then, even though it somehow didn’t seem right, we decided we’d continue on in case they had indeed passed us.